Schneider, C. (2015). The self-access area becomes the Language Zone. Studies in Self-Access Learning Journal, 6(1). This article gives a brief overview of a recent library refurbishment project I have managed, hopefully encouraging others to think about how they can improve their own self-access spaces. My experience will illustrate that a major refurbishment project does not need to be daunting, and can have a big impact on student and staff experience, whether it is a new or established self-access centre. The Language Zone provides learning materials and resources to language learners at the University of Leeds. It supports students enrolled on modules in the Language Centre and the School of Languages, Cultures and Societies, as well as independent learners, who might be learning a new language for work, study or leisure. The library space underwent a major refurbishment from July to October 2014, changing its premises from a closed access to an open access library, which enables students to browse the available materials and use the space, a mixture of formal and informal learning areas, in more flexible ways. I started the planning process in late 2012 by visiting other Language Centre libraries to see how their layouts worked and what kind of services they offered. The university’s Estate Services department got involved in the planning process in November 2012, offering suggestions for different-sized options for the refurbishment. A major part of the project was the business case that was put together to get funding, which was finally approved in November 2013. 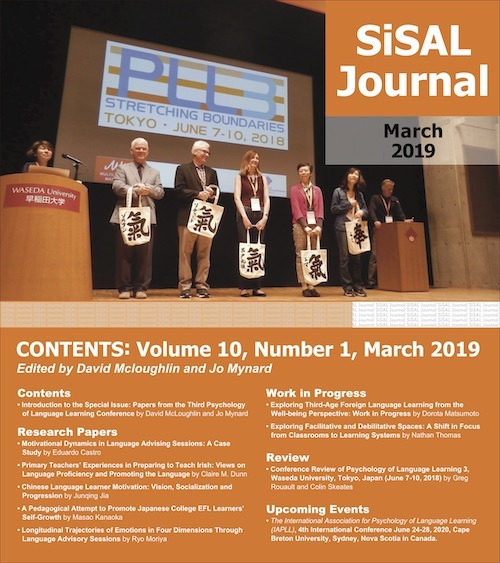 To be able to successfully contribute to the project, I joined several online groups and discussions about library and learning space design, library furniture, and related topics. For example, Jisc’s learning space design resources proved to be very helpful (http://www.jiscrsc.ac.uk/support-for/learning-space-design.aspx), as did talking to colleagues who worked in or had recently visited newly refurbished spaces. In addition to this, I started talking to interior and library design companies about ideas and suggestions, gathering a wider portfolio of ideas and possibilities. The Language Centre runs a range of English language courses throughout the summer, preparing students for further study, making it the busiest time of the year. This made the smooth running of the refurbishment absolutely essential. During the refurbishment I was able to take responsibility for liaison with the University’s Estate Services and the building site management team as well as contractors and designers to guarantee that the service’s needs were met throughout and after the refurbishment process. I also ensured that the service operated efficiently during this period, when the facilities were located in temporary premises near the building site, to guarantee access to resources and materials during the summer. This included dealing with complaints about noise, and as well as working closely with the building site manager to ensure minimal disruption to students and staff. I also worked closely with the marketing team to inform existing and potential users about changes. All this contributed to customer service being consistent and improved students’ experience during the refurbishment phase. To prepare the members of the Language Zone team for their new work environment and ways of working I devised a comprehensive staff training programme, which, apart from showing staff the new space and familiarising them with new technology, included reminder sessions about customer service and enquiry handling skills. As part of the refurbishment project I introduced a new, more intuitive, library classification system, making it easier for students to find materials in the Language Zone. The main sections are now divided into topic areas, such as Grammar and Listening, rather than items simply being shelved in chronological order within each language. In my mind, the collection of approximately 10,000 items is too small to justify the use of an official library classification, as the main purpose of this change was to enable users to find materials more easily. I further made a case for, and oversaw, the installation of a Radio-frequency identification (RFID) security system, therefore actively working on loss prevention. Again, talking to colleagues and consultants within the library and information sector was essential to make an informed decision about which system and supplier to choose. During the project, especially when I felt overwhelmed by the size of the undertaking and found it difficult to keep track of all developments and time scales, I was able to build on leadership, advocacy and strategic skills developed as part of an Open University management course I studied during 2013/2014. Further, I was able to utilise planning and project management skills acquired during my previous post as Information Librarian, where I had been involved in the early planning stages of a refurbishment for the Business and Research department in Leeds Central Library. Both for dealing with practical tasks and my reaction to potential problems I made an effort to ask for help, both in real life and on social media, and learning from other people’s experiences, rather than struggling by myself. 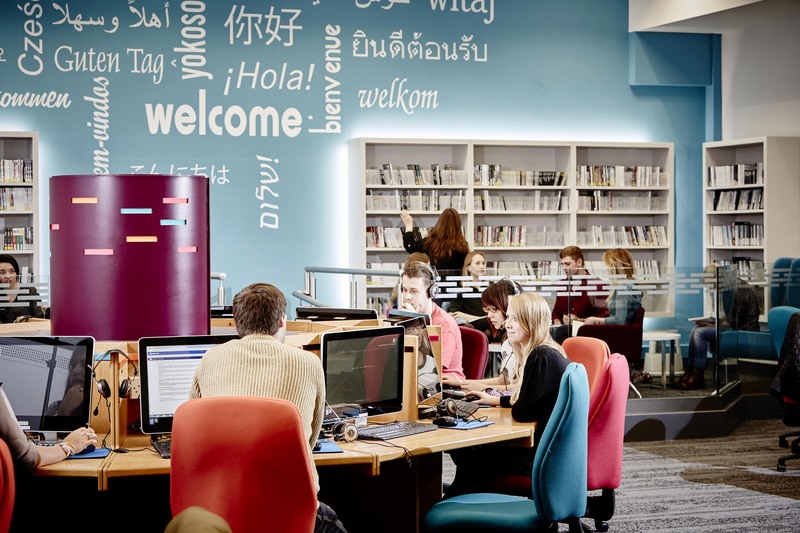 The newly refurbished Language Zone has been open since 6 October 2014 and the refurbished facilities are busy continuously throughout the day, currently totalling between 400 and 500 visits per day. The new space has already enabled the team to expand the range of activities, accessibility and advice through increased visibility of materials and staff. This is partly due to the new layout where the information counter and staff desks are located within the open areas of the Language Zone. This allows students to approach any member of staff for personal, individualised guidance, giving them better, more immediate access to information and services. The achievements of this project are paving the way for further developments and closer working relationships with the School of Languages, Cultures and Societies, in which the Language Centre and Language Zone are located strategically. These will be based on how students and staff use the space, and enable us to plan future developments and activities accordingly. As a result of the refurbishment I am also taking overall responsibility for all activities taking place within the space, which includes a closer integration of the Language Advice Service into the Language Zone. Since the refurbishment, the activities and responsibilities of Language Zone and Language Advice are more closely aligned, offering more opportunities for sharing resources and making any future developments more viable. The refurbishment also offered the opportunity to re-brand, changing the library’s name from ‘Self-Access Area’ to ‘Language Zone’, which allows us to promote the space and services as more welcoming and accessible. Carolin has managed the Language Zone at the University of Leeds since September 2012, after working in academic and public libraries for several years. She is a charted librarian and currently studies towards a Master’s degree in Technology, Education and Learning, alongside her professional role.